What a week coming up! We’ve got the Black Dog’s remodel celebration, the opening of The World of Beer across from Mears Park, the Lowertown Blues Festival (right), Palmfest, a winery jazz festival, the JuJu rhythms of King Sunny Ade, the Afrobeat of Antibalas, and The Minnesota Orchestra embracing Latin rhythms. Additionally, we have performances from a couple of young guns in the Twin Cities jazz world, as well as some daring, and much beloved jazz veterans at work. Connie Evingson and Jon Weber @ Crooners’ Dunsmore Room, Fridley. 7pm ($15, $40 dinner) Evingson’s vocals are both lush and cool at the same time, while Weber’s encyclopedic knowledge of piano styles gives him the ability to be adept as both an accompanist and soloist. It’s Evingson’s show, but don’t be surprised if Weber’s knowledge of arcane music facts makes its way into the between songs commentary. Chris Lomheim Quintet @ Jazz Central, Minneapolis. 8:30pm ($10, $5/student ID) This is the debut for Lomheim’s new group. The pianist has always had a trio, played solo, though he’s no stranger to larger bands, and is a founding member of the Illicit Sextet. Tonight he’s debuting a lineup that’s reminiscent of hard bop’s heyday: Pete Whitman, sax; Adam Rossmiller, trumpet; Jay Young, bass; and Peter Hennig, drums, to revisit some of his originals, and undoubtedly throw in some jazz standards. Thursday Night Jazz @ The Reverie, Minneapolis. 9pm (Tip Jar) The college-age musicians of Sound Skirmish open at 7pm. Members are Patrick Adkins, piano; Levi Schwartzberg, vibes; Ben Ehrlich, drums, and Drew Stinson bass. 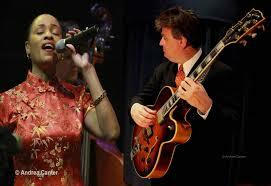 At 9pm it’s The Zacc Harris Group: Harris guitar; Bryan Nichols, piano; Chris Bates, bass; and JT Bates, drums. Jeremy Walker @ Vieux Carré, Saint Paul 6pm (No Cover) Enjoy the Dinner Hour with pianist Walker and you’ll be treated to tasty, thoughtful music, including Walker’s engaging originals and his interpretation of jazz standards while you chow down on items from the club’s menu. Southside Aces @ Vieux Carré, Saint Paul. 9pm ($10) Traditional New Orleans jazz, as in a sousaphone rather than bass, clarinet, guitar, and horns. It’s jazz that makes you want to dance. Rodney Ruckus @ Jazz Central, Minneapolis. 8pm – 10pm ($10, $5 w/StudentID) Ruckus has been making waves and garnering attention during various performances since enrolling in McNally Smith’s graduate program last year. He’s an alumni of Berklee, where he had a full scholarship, and has already traveled the world playing with such stellar musicians as Tia Fuller, Herbie Hancock, John Patitucci, Joe Lovano, Roy Hargrove, Charles Lloyd, and others. Though drums are his main instrument, he’s also quite adept at bass and piano. Here he is in an unexpected setting. Chateau Jazz Festival @ Chateau St. Croix Winery, St. Croix Fall, WI. Noon – 6pm (free) Take a reactively short road trip to this winery, which will have food trucks, local craft beers, and of course, wine, while listening to music by: Maud Hixson and Rick Carlson, the Zacc Harris Quartet, Pete Whitman’s Mississippi, and Doug Little’s Charanga Tropical. Saturday Night Jazz @ The Black Dog Coffee and Wine Bar, Saint Paul. 7pm (Tip Jar) Ted Godbout Trio at 7pm. Artists Quarter Tuesday Night Band from 9pm – Midnight. It’s the second day of the Lowertown Blues Festival, and the Tuesday Night Band, with Kenny Horst, drums; Billy Franze, guitar; and Downtown Bill Brown on the Hammond B3 is a good fit for blues lovers, given the affinity of B3 organ groups for the blues. No doubt there will be some guests as well, which was the norm when the band played the old AQ. The Ted Godbout Trio opens at 7pm with Godbout, piano; Dan Carpel, bass; and Jared Mondlock drums. Godbout is a young player who’s been accompanying vocalists like Katia Cardenas, as well as playing in a number of other jazz groups around town. Here’s the Tuesday Night band with guest Sue Orfield. Nachito Herrera Plays Gershwin @ The Dakota, Minneapolis. 8pm ($15) Like many Cuban pianists, Herrera is dazzling with his technique. He also has the imagination and creativity to encompass traditional Cuban rhythms, the funk of folks like Earth, Wind, & Fire, and classical music. Tonight he takes on the music of George Gershwin, music as rich as anything you might find. AcoustElectric @ The World of Beer, Saint Paul. 9pm (No cover?) Pianist Larry McDonough and his quartet helps the World of Beer celebrate their opening, at the corner of 5th and Sibley in Lowertown. The first set consists of acoustic jazz of Bill Evans, Chet Baker, Tony Bennett, and more, while the second, electric set will feature jazz rock fusion of songs by Sting, Clapton, Led Zeppelin, and Prince. Sophia Shorai Quartet @ Alexis Bailey Vineyard, Hastings. 1:30pm (Free) Head downriver to Hastings for a delightful afternoon at the Bailey Vineyard. Aside from tasting their wines, you get to hear the talented vocalist Ms Shorai who can express heartbreak , determination, and grace with a combination of sweetness and aplomb. Omar AbdulKarim @ Jazz Central, Minneapolis. 8:30pm ($10, $5 w/student ID) AbdulKarim is an ups and coming young trumpet player who impresses with his tone and thoughtful improvisations. 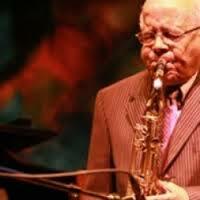 He’ll be accompanied by Pierre Lewis, organ; and Batume, drums, for what promises to be a swinging set of music. Dave King Trio @ Crooners’ Dunsmore Room, Fridley. 7pm ($20) After having a CD release at Vieux Carre for his five-piece Trucking Company last weekend, drummer Dave King brings bassist Billy Peterson and pianist Bill Carrothers to Crooners’ Dunsmore Room. King is well known for his stints with Happy Apple, Bad Plus, and the aforementioned Trucking Company, groups that traffic in avant/indie/experimental approaches to jazz. However, this trio, which has received rave reviews in the New York Times and on NPR, mines a treasure trove of standards from jazz and the Great American Songbook, bringing a fresh interpretation to songs each time they play. Here’s an extended video of one of their international performances. King Sunny Ade @ The Cedar Cultural Center, Minneapolis. 7:30 ($35 Advance, $40 Door) A winner of two Grammys, Nigerian Sunny Ade brings his sinuous juju rhythms back to the Twin Cities. Since his first hit single in 1968, Ade has been nominated for two Grammys and taken his music around the world, helping to define worldbeat and Afropop in the process. Big George Jackson @ The Lowertown Line Stage at TPT, 172 4th Street East, Saint Paul. 6pm (Free) The organizers of the Lowertown Blues Festival (see below) made a great choice when they picked Big George for the event’s kick-off party. You get to hear George’s booming voice and his otherworldly growl, as well as the guitar of Jeremy Johnson within the new reception/event space of TPT. A must for blues fans. Paul Mayasich, Bobby Vandell & Billy Franze @ Crooners Lounge and Supper Club, Fridley,. 7pm (No Cover) It’s another Hot Seat evening at Crooners, with ace guitarist Mayasich joined by R&B/jazz veterans Bobby Vandell on drums, and Billy Franze on guitar. Al Stewart @ The Dakota, Minneapolis. 7pm ($33 – $37) 1979 was “The Year of the Cat” and the year of “Time Passages,” two songs that were FM Radio staples. Stewart’s light, appealing voice was backed by a full rock band at the time, but he has since returned to his folk/troubadour roots, playing in partnership with guitarist Dave Nachmonoff and basset Mike Lindauer, revisiting hits, and reinterpreting historical gems. Krar Collective @ The Cedar Cultural Center, Minneapolis. 8pm ($18 Advance, $20 Door) The final show of the Cedar’s African Summer features a trio with a contemporary spin on the Ethiopian azmari minstrel tradition. The krar lyre is a 5 or 6 stringed harp, which legends say descends from Kin David’s lyre. Tmesegen Zeleke plays it plugged in to create a sound reminiscent of an ancient rock guitar. Beisdes Zeleke, the group include singer Genet Asefa and Drummer Grumn Begashaw. Their minimalist sound has led some to call them the “White Stripes of Ethiopia.” Opening act TBD. Big George Jackson and the Willie Murphy Trio @ The Black Dog Coffee & Wine Bar, Saint Paul. 7pm – 12 am (Tip Jar) Here we have what is essentially a two-fer event. The Black Dog is celebrating their expansion and redesign of what is now a music room and bar, and the Lowertown Blues Festival is happening. Get here early to see Big George Jackson, who opens. You’ll also get proper seats for Murphy’s 9:30 show featuring his stellar mix of rock n’ roll and R&B. If you come by after the Blues Festival closes down for the night, you may end up standing, though regular Murphy fans already know that. Antibalas @ The Amsterdam Bar & Hall, Saint Paul. 9pm ($15 Advance/$20 door) Saint Paul is hopping tonight, what with the Blues Festival and this performance, featuring the Brooklyn Afrobeat wonders Antibalas who were the band for Femi!, the award winning broadway and touring show. Our own Black Market Brass opens, while The Worldwide Discoteque DJs will keep things going between sets. Minnesota Orchestra: A Night in the Tropics @ Orchestra Hall, Minneapolis. 8pm ($30 – $70) Minnesota Orchestra trumpeter Charles Lazarus is joined by his own jazz quartet and the Minnesota Orchestra, conducted by Andrew Litton, in a concert inspired by the sultry melodies and evocative rhythms of Brazil, Cuba, Hawaii and more. The program features originals by Lazarus, a tribute to Brazilian composer Antonio Carlo Jobim, Duke Ellington’s Caravan and other selections. This is part of the closing weekend for Sommerfest, and will include other music and activities as well. Palmfest 2016 @ Palmer’s Bar, Minneapolis. 4pm – Close Friday, 2pm – Close Saturday ($5 each day) With 10 bands on Friday and 12 on Saturday this is a good time to catch bands you may not have heard, such as Half Moon Devil, or the King of Tramps, as well as some old favorites, like the Liquor Pigs, Spider John Koerner, Poverty Hash, and Charlie Parr. Weather permitting it will be on the outdoor patio until 10pm, after which final bands will move indoors. For more information, go to their FaceBook page or their website. Divas Of Disco @ Chanhassen Dinner Theater, 8pm ($40-$55) Who remembers bell bottoms, platform shoes and lip gloss? Lori Dokken has put together a show that brings back the days of mirror balls, gold chains, and disco fever. Performing songs by Chaka Kahn, Donna Summer, Diana Ross, Natalie Cole, and others will be some fabulous Twin City Vocalists: Debbie Duncan, Rachel Holder Hennig, Patty Peterson, and Judy Vinar. They’ll be backed by Peter Hennig, drums; Jay Young, bass; Cory Wong, guitar, Jimmy Steffen on keys; and Dokken on keys and vocals. Willie Walker & We R @ Crooners Lounge & Supper Club, Fridley. 7:30 – 10:30pm (No Cover) The folks at Crooners know that when you have a band that does well, you bring them back on a somewhat regular basis. Such is the case with Soulman Willie Walker a long time resident treasure who got his start recording for the Goldwax label out of Memphis back in the 60s, and also released a couple of singles on Chess/Checker. He can caress a ballad, and give uptempo songs appropriate grit, whether they’re originals, or classics by Al Green and Sam Cooke. Open Streets @ Merlin’s Rest, Minneapolis. Noon – 5pm (No Cover) It’s Open Streets Day for East Lake Street, and this neighborhood bar (without TVs) is hosting a number of excellent musical acts starting at Noon with Meg Ashling, and continuing with pianist/composer DeVon Grey at 1:20, Lucy Michell at 2:30/3PM, and finishing at 4pm with the old time/folky sounds of guitarist/singer/songwriter Jake Manders. Brian McKnight 4 @ The Dakota, Minneapolis. 7pm ($55 – $75), 9pm ($45 – $65) Adult R&B, from McKnight, singer/songwriter/pianist/producer, who has sold over 30 million records and received 16 Grammy nominations over the past 20 years. 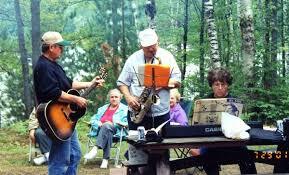 It’s Summertime, and there are many outdoor events featuring great music. I’ve included a few here. But don’t forget some of the indoor venues as well. We abound with opportunities to lift our spirits through music. Take advantage of them. And if you’re going to an outdoor event, take a picnic. Steve Kenny’s Group 47 @ Vieux Carré, Saint Paul. 7pm ($5) Trumpeter Kenny has assembled a group of excellent young players to play with him. The result is invigorating jazz. Thomas Strommen, sax, is in his third year of studies at UW River Falls; pianist Will Kjeer was a member of the Dakota Combo and led his own groups before graduating high school and going off to study at Interlachen in Michigan for a year; Adam Tucker, bass, slightly older, but still in his 20s, and has worked with the Adam Meckler Orchestra, and the Jana Nyberg Group, in addition to being a producer; Drummer Alex Burgess is also a student at UW-river Falls. this is what they sound like. Andrew Walesch Quartet @ Crooners Lounge & Supper Club, Fridley. 7-m (No Cover) This is becoming a regular gig for young Mr. Walesch and he deserves it. The singer/pianist always has stellar accompanists who help him swing so well that couples are inspired to dance. APE:Adrian Peterson Ensemble @ Jazz Central, Minneapolis. 8:30pm ($10 Suggested Donation) Adrian Suarez, drums; Joe Strachan, keys; and Graydon Peterson, bass will present some surprising versions of unlikely songs. It’s bound to be a playful evening of jazz. Zack Lozier Three @ Vieux Carré, Saint Paul. 5:30pm – 7:30pm (No Cover) Lozier on trumpet and vocals; Steve Pikal, bass; and Steven Hobert, piano provide a bunch of Louis Armstrong and New Orleans jazz for the dinner hour at the new Saint Paul venue. John Raymond’s New York Quartet @ The Dakota, Minneapolis. 7pm ($25) It’s been about 10 years since Raymond a Minneapolis native, left to study at Eau Claire, and six years since he relocated to NYC, where the young trumpeter has successfully integrated himself into the music scene. He plays with Orrin Evans Big Band at Smoke, as well as with Ethan Iverson and Linda Oh, leads his own quartet, and was recently profiled in Downbeat. Tonight he’s celebrating his second CD, Foreign Territory, an album of mostly originals. He’ll be accompanied by Dan Tepfer, piano; Chris Tordini, bass; and Jay Sawyer, drums. I did a phone interview with him this past Saturday (the 18th) which you can hear at http://kfai.org/rhythmandgrooves. The interview starts at about 23 minutes into the show. Erin Livingston @ Jazz Central, Minneapolis. 7:30pm ($10 Suggested Donation) Livingston is equally at home with gypsy jazz, the blues, the Great American Songbook, or the Beatles. She’s been singing a lot with the Parisota Hot Club. Nichols/Bates/Bates @ Studio Z, Saint Paul. 8pm ($10) Bryan Nichols piano; Chris Bates bass; and JT Bates, drums. They’ve been friends and musical collaborators for many years. Expect originals and very interesting takes on jazz standards. Zacc Harris & Javi Santiago @ Vieux Carré, Saint Paul. 5:30pm – 7:30pm (No Cover) The folks at Vieux Carré are wisely featuring early evening music for those who want to sample their New Orleans – inspired food, as well as early evening music fans. Tonight its pianist Javi Santiago, whose becoming a mainstay in the area, along with guitarist Zacc Harris. Jon Pemberton’s Tribute to Lee Morgan @ The Nicollet Cafe, Minneapolis. 9pm (Tip Jar) Pemberton is a composer, pianist, and trumpeter. It’s the last artistry that he’ll be employing tonight as he and his cohorts present an evening of music by and dedicated to trumpeter Lee Morgan. He’ll be joined by Dave Brattain, tenor sax’ Mikkel Romstad, piano; Tom Lewis, bass, and Jay Epstein, drums. Sophia Shorai @ Hell’s Kitchen, Minneapolis. 6pm – 9pm (No Cover) Sit close to hear the sweet vocals of Ms. Shorai. Jazz @ Orchestra Hall, Minneapolis. (Free) More Sommerfest Jazz in the Atrium: JT Bates Trio performs from 6pm – 7:45pm, and the Chris Lomheim Trio performs from 10pm – 11pm. Lindsay Pedalty Trio @ Crooners Lounge and Supper Club, Fridley. 7pm – 10pm (No Cover) Vocalist Pedalty doesn’t play out enough, as far as I’m concerned, though I’m sure she’s inhibited by her day job. At any rate, she’s got a fresh sound, a great sense of rhythm, and impeccable backing from her dad, pianist Bruce Pedalty, who has long played jazz and blues around town. His song If Nothing Ever Changes, was chosen as the title track for the new Willie Walker album. Lynn O’Brien and Steven Hobert @ The Landmark Center, Saint Paul. Noon – 1pm (Free) Lynn O’Brien is a singer/songwriter with a charming way with words and music. Steven Hobert is a jazz pianist around town, though he occasionally takes side trips into other genres. Together, they’re a promising duo that will surprise. I Like You on KFAI and @ The 331 Club, Minneapolis. 5pm (90.3 and 106.7FM), 7pm (331 Club – Tip Jar) This six-piece band creates Sunshine Pop for the 21st Century, incorporating bits of world music into their upbeat sounds. James Cotton Band @ The Dakota, Minneapolis. 7pm ($35 – $45) The 80 year old Grammy winning blues harpist is among the last of the original Chicago Blues legends of the 50s and 60s. Though Cotton has been playing since he was 9, and his voice is just a hoarse croak, and he leaves the singing to Darell Nullisch, a fine blues singer in his own right, as evidenced from his time with Anson Funderburgh and the Rockets. Hoars or not, Cotton still blows a mighty strong harp. Big George Jackson @ Big Daddy’s Old Fashioned BBQ, University & Dale, Saint Paul. 3pm – 6pm (No Cover) While away the afternoon with Big Daddy’s Blues on the Patio series, today featuring Big George a singer/harpist whose booming voice will shake the ground on which you’re standing. Papa John Kolstad @ Merlin’s Rest, Minneapolis. 8pm – 11pm. (Tip Jar) Papa John returns to his neighborhood haunt, aka, Best Neighborhood Bar in Mpls, to entertain with his dry wit, excellent guitar playing, and vast repertoire of blues and acoustic swing. Womenfolk Live @ The Aster Cafe, Minneapolis. 9pm. ($8) This benefit for KFAI features Vicky emerson, Mother Banjo, Katy Vernon, and Sarah Morris, a quartet of talented singer/songwriters having fun with the proceeds going to KFAI, where Mother Banjo (Ellen Stanley) hosts Womenfolk. Crankshaft & the Gear Grinders & Zoo Animal @ Music in Mears, Saint Paul. 6pm. (Free) The annual Thursday night series ion Lowertown’s park continues with the minimalist grunge of Zoo Animal (opening) and Crankshaft’s “pork net” style of stripped down, raucous blues at about 7:15 or 7:30. Followed by a film. Hipshaker Dance Party @ The Kitty Kat Club, Minneapolis. 9pm ($5) Next month will be a big blowout as the Hipshaker deejays celebrate another anniversary of this long-running 45rpm dance party. Rare and not often heard funk and soul for your dancing pleasure from Greg, Brian, and George, though there may be a guest deejay. Palmfest @ Palmer’s Bar, Minneapolis. 6pm Friday, 2pm Saturday. This annual event at the “Best Dive Bar in the US” (Esquire) always features a wide variety of roots, rock, and blues and this year is no different, with Friday bands ranging from the Liquor Pigs and duet of Spider John Koerner and Charlie Parr to Wain McFarlane, while Saturday’s line up starts with the Palmerceuticals, and features The Changeups, Rising Side, Cadillac Kolstad, McNasty Brass Band, Eleganza, Sister Claypso, and more. Lowertown Blues Festival @ Mears Park, Saint Paul. Noon – 10pm (Free) Main Stage: McNally Smith FunkHeads; Dee Miller Band; Lisa Wenger & Her Mean Mean Men; Jimmi & the Band of Souls; Walter Trout; Elvin Bishop. Juke Joint Stage & Food Court: Jimi Prime Time Smith and Big George Jackson. At 10pm head to the after-parties at various clubs around Lowertown, including Willie Murphy @ The Black Dog Coffee and Wine Bar. Butanes @ Big Daddy’s BBQ, Saint Paul. 4:30 – 7:30pm (No Cover) Meanwhile, you don’t have to go to downtown Saint Paul to catch some blues, as Big Daddy’s continues their Blues on the Patio events with Curt Obeda and his talented cohorts. Battle of the Garages! @ The Turf Club, Saint Paul. 7pm ($20) Rock your socks off to the sounds of headlining garage band legends the Pandoras, and all-female band from LA, and the Lyres of Boston. Of course our own Mighty Mofos, L’Assasins, and Beebe Gallini, will get the evening started right. Here are the Pandoras in the 80s. Eleni Mandell @ Treehouse Records, Minneapolis, and The Turf Club, Saint Paul Noon (Treehouse – Free) 7pm (Turf Club – $12) Mandell is a successful indie singer/songwriter who peppers her songs with hints of jazz and country, and who writes smart lyrics, whether about motherhood or wanting to be a mistress. She’s currently touring behind Dark Lights Up, a brand new release on Yep Roc Records She’s played more in-stores at Treehouse than any other artist. Then in the evening she’ll appear at the Turf Club, with Courtney Marie Andrews opening. Scottie Miller @ Lowell Park, Stillwater. 6pm (Free) Another outdoor event for music lovers, this one featuring Scottie Miller that singing piano player whose music has touches of New Orleans, rock n’ roll, and Americana. Don’t forget your picnic. Dining outdoors while listening to music is good for all ages. Another week with plenty of opportunities to picnic while listening to bands. Take advantage of these opportunities while you can. Speaking of opportunities, though the closing of the Artist Quarter closed off performance opportunities for many area bands, artists are taking a do-it-yourself attitude and finding new venues or in some cases creating a whole series of jazz events. It’s another sign of the abundance of talent here in the Twin Cities. Get out, picnic to music or hang out in new, non-traditional venues. Wherever you listen, music lifts the spirit. Tyler Anderson Trio @ Joey Nova’s Pizza, Excelsior. (No Cover) Here’s a chance for those of you who live in the Western ‘burbs to have some jazz with your pizza. Tyler Anderson, sax; Matt Peterson, bass; Adrian Suarez, drums; playing a mix of jazz standards. Charmin, Shapira & Friends, @ the Dakota, Minneapolis. 7pm (No Cover) Charmin Michell’s voice is a thing of understated beauty. She’s can put an intense, yet slow burn on a torch song and in the next song turn around a spit out some fast lyrics with clarity. Joel Shapira’s nylon-stringed guitar provides just the right accompaniment, as does the various friends who step onto the stage. Framework @ Jazz Central, Minneapolis. 8:30pm ($10 Suggested Donation) Original music from a trio that’s been playing together for 18 years or so: Chris Olson, guitar; Chris Bates, bass; and the ever-dapper Jay Epstein, drums. Jerry O’Hagan Orchestra @ Rice Park, Saint Paul. 6pm – 9pm (Free) The Ordway outdoor dance series ends with O’Hagan’s big band. Dance instructors from the Cinema Ballroom will be on hand to help you learn or brush up on your swing dance and foxtrot moves. World Jazz Collegium @ The Black Dog Coffee & Wine Bar, Saint Paul. 7-9pm (Tip Jar) Dan Weston, bass/percussion; Pavel Jany, guitar; Josue Alfaro, percussion & vocals. I’ll admit I don’t know much about this particular group, but any group with Pavel Jany in it deserves our attention. Sarah M. Greer & Blu-7 @ Jazz Central, Minneapolis. 7:30pm ($10 Suggested Donation) Sarah is a vocal improviser who sings with a number of groups, including Jay Young’s Lyric Factory. She will be paying tribute to Nina Simone in one set and singing standards in a second set. Blu-7 includes John Iden, bass; Jim Ouska, guitar; Doug Rohde, piano; and Dean White on drums. Rebirth Brass Band @ The Dakota, Minneapolis. 7pm, 9pm ($25) Rebirth is celebrating 30 years of re-imagining R&B tunes for a funky brass band, though, of course, they’re completely familiar with the traditional oeuvre as well. A couple of years ago they became the first brass band to win a Grammy. Not bad for a group that started out playing on the street corners of New Orleans. Zacc Harris Group @ Studio Z, Saint Paul. 8pm ($10) This is the third of a ten-week long weekly series of original music by area groups. The fact that we have so many that can perform two sets of original music is a testament to our area’s talent. Tonight Zacc Harris, who has been gaining much praise for his guitar work, both locally and nationally, brings his group to Studio Z. Besides harris, the group (at least on the album) includes the brothers Bates – Chris on bass, and JT on drums; as well as Brandon Wozniak on sax and Bryan Nichols on keyboards. Laura Caviani Trio @ Jazz Central, Minneapolis. 7:30pm ($10 Suggested Donation) Caviani is a high quality pianist/composer and educator who can also sing when the moment moves her. We don’t get to see her trio often enough, so treat this as a relatively rare opportunity, especially given the intimate setting of Jazz Central. Kronick Quartet @ The Black Dog Coffee & Wine Bar, Saint Paul. 8pm (Tip Jar) Bassist/vocalist Richard Kronick leads this group, which plays tightly arranged jazz, including bop, swing, soul-jazz, and Kronick’s own compositions. Irv Williams’ CD Release Party @ The Museum of Russian Art, Minneapolis. 7pm – 9pm ($25, members, $30, non-members) Williams is about to turn 95 and still sounds wonderful. He’s celebrating by coming out with a new CD, Then was Then, Now is Now, in which he’s joined by Steve Blons, guitar, and Billy Peterson on bass. I’ve heard the title track, and all I can say is, what a gorgeous sound! The museum is delight as well, with exhibits that are consistently high quality, much like William’s music. Steve Kenny’s Group 47 Vinyl Release Party @ The Icehouse, Minneapolis. 9:30pm ($8) This band features four college-age musicians whose talent belies their youth, and their leader/facilitator, veteran trumpeter Kenny. Will Kjeer, piano; Alex Burgess, drums; Thomas Strommen, sax; and Adam Tucker, bass; bring passion, talent, and compositions to the group. The new release, Straight to Vinyl, was recorded to tape old school style, with the musicians all facing each other and no overdubbing or “creative editing” of the result. And, just like the jazz records of the 60s and 70s, the album even has a potential “hit single” in iFlower, a hard-boppish tune that can inspire dancing. Cafe Melange @ The Landmark Center, Saint Paul. Noon – 1pm. (Free) The husband and wife duo of Brian and Sheralyn Barnes perform a mixture of music: French Musettes, Gypsy Waltzes, Latin Tangos, Jazz standards… Well you get the idea. Bring a lunch or buy one in the cafe, and sit in the light-filled cortile of the Landmark Center for a thoroughly relaxing lunchtime experience. Southside Desire @ The Como Zoo & Conservatory Courtyard, Saint Paul. 6pm – 8pm. (Free) Girl Group Harmonies meet Garage Rock energy with this sextet. It’s a sound that will resonate with the young, and those of us who, umm, remember the groups that inspired this sound. KFAI deejay Miguel Vargas will be spinning sounds before and between sets. Rich Lewis Band @ Minnehaha Falls Bandstand, Minneapolis. 7pm – 8:30pm (Free) Rich Lewis was a founding member of the legendary Explodo Boys, and has been playing music for 35 years. The band plays a mix of classic rock n’ roll, soul music, New Orleans R&B, country, and standards, with some originals thrown in for good measure. Bring a picnic, or get there very early and stand in line for some food from the Sea Salt Eatery. Beatles Show @ Marketfest 3rd Street Stage, White Bear Lake. 6pm – 9pm (Free) Well it’s 50 years since the Beatles first performed on American Soil and The Silver Hammer Quartet is going celebrate with an evening of Beatle songs. Mike Ryan, vocals, guitar, harmonica; Andy Richards, vocals, bass; Mike Nilles, vocals, guitar; Doug Salmela drums, percussion, bass guitar. With special guest Matthew Richards on drums. Rockin’ Pinecones @ Eagles Club #34, Minneapolis. 7:30 – 10pm ($5?) Get ready to spin, twirl, and two-step on the dance floor as the Pinecones bring another night of infectious Cajun and Zydeco music to the Eagles Club. Black Diet @ The Lake Harriet Bandshell, Minneapolis. 7:30pm (Free) If you missed them at the Roots, Rock Festival, or Como Zoo in the past week, you’ve got a chance to catch them at the Bandshell. Their sound strikes me as being based in Memphis soul of the late 60s and 70s, with a bit more rock to the backing. At any rate, they are a great accompaniment for a summer picnic in the park. Hookers $ Blow @ Famous Dave’s, Minneapolis. 9pm They claim to play your favorites from “a more permissive era.” They’re talking about the 70s and the great soul, funk, and dance music of that time. Hipshaker 45 RPM Dance Party @ The Kitty Kat Club, Minneapolis. 9pm ($5) Still going strong, the Hipshaker DJs play rare soul and funk 45s for your dancing pleasure. Lowertown Blues Festival @ Mears Park, Saint Paul. 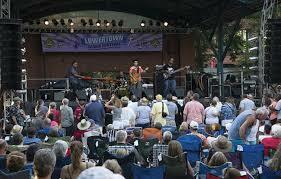 3pm – 10pm (Free) The wonderful Mears Park provides a great setting for a festival, and this time it’s the blues. We have hard rockin’ Sena Ehrhardt at 3pm; veterans Lamont Cranston at 4:30pm; Hamilton Loomis at 6:30pm; newly crowned Queen of Chicago Blues Shemekia Copeland rounding out the day at 8:30pm. Davina & the Vagabonds and More @ Christ the King Lutheran Church Music Festival, 8600 Fremont Ave So, Bloomington. 4pm – 9pm (Free) This family-friendly music festival features three outstanding performers from the area. Starting at 4pm is a group led by pianist Will Kjeer, just out of high school and already leading his own groups and playing with others such as Steve Kenny’s Group 47. At 5:30, it’s Salsa Del Soul, with their hot Latin sounds that are sure to bring out dancers. Davina & the Vagabonds take the stage at 7:30, showcasing Davina’s high energy modern interpretations of classic blues and jazz. Bring a blanket or lawn chair. Food is available from Famous Dave’s, and Fat Lorenzo’s, with ice cream from Culver’s. Palmfest @ Palmer’s Bar, Minneapolis. 1pm – 1am Sat, 2pm – 1am Sun (Free) Recently listed as one of the best bars in the United States by Esquire, Palmer’s annual weekend festival celebrates the music, drinks, and general downscale bonhomie of the West Bank institution. Saturday’s line-up includes: Corpse Reviver, Spider John Koerner, Poverty Hash, and others, with Cadillac Kolstad closing out the night. Sunday look for The Farmhouse Band, McNasty Brass Band, Southside Desire, and more. Hula Peppers @ Boyd Park, Saint Paul. 3pm – 5pm (Free) Boyd Park is just a couple of blocks east of the Saint Paul Cathedral, on Selby Avenue. The Peppers will delight with their mix of classic tunes from the 20s and 30s, and the occasional Hawaiian tune, just cause they can. Dan “Daddy Squeeze” Newton, accordion, Gary Powell, Hawaiian guitar; Dave Furniss, resonator guitar; and Corey Mohan, ukuleles and musical saw. Vocalist Lauren Asheim joins in on some tunes. Her operatic training belies her 20s-style delivery (think Betty Boop), which perfectly fits the songs. Other Country Ensemble @ The Black Dog Coffee & Wine Bar, Saint Paul. 7:30pm – 9:30pm (Tip Jar) Here in the U.S.A., we have our own brand of country music. This ensemble, however, plays music from other countries, infusing various music from around the world with some improvisatory jazz. It’s quite the group, with Mark Black and Stephen Spaise on percussion; Steve Clarke, reeds; Greg Herriges and Scott Nieman, bouzoukis; Louis “Rundio” Sinclair, chapman stick; David Stenshoel, violin, sax; and Laurie Knutson, flutes, clarinet, and sax. Marty Stuart & His Fabulous Superlatives @ The Dakota, Minneapolis. 7pm ($35 – $42) Stuart toured with Lester Flatt as a teenager in the 70s, followed that with six years playing with Johnny Cash, and then became a Grammy winning solo artist in the 90s, garnering five to date. He is the kind of country artist that can appeal to young hipsters, since he loves and plays the roots of the genre: bluegrass, gospel, and especially honky-tonkin’ rockin’ hillbilly music. When he and his fleet-fingered guitarist Kenny Vaughn get to twin-playing, other guitarists look on in complete delight. Check them out in this video. Secret Sisters, with Jillian Rae @ The Cedar Cultural Center, Minneapolis. 7pm ($15) The Secret Sisters are really sisters, a fact which is not so secret. They were discovered in 2010 and released their second album, Put Your Needle Down, in April. They sing traditional country music, and originals. Resident fiddler Jillian Rae opens. The title song & video from her album Heartbeat perfectly express the rush of infatuation and the fantasies it inspires.